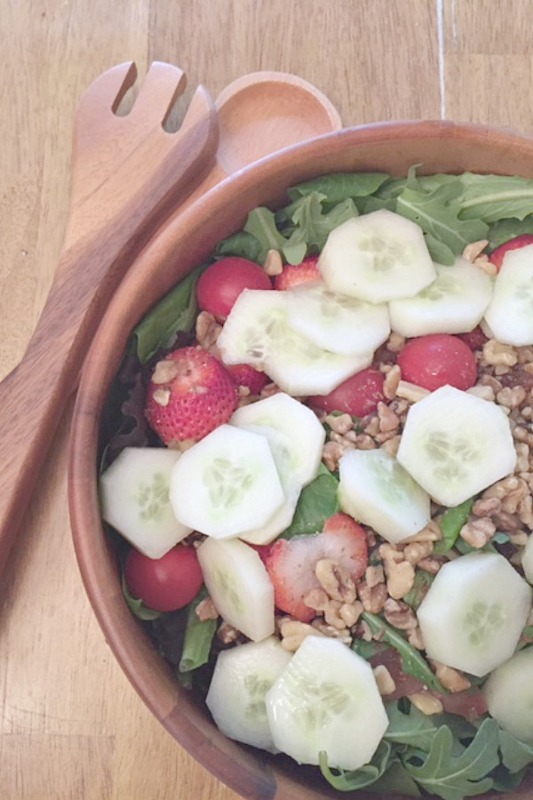 Simple Strawberry Spa Salad is one my husband and I enjoyed on the sunny island in Bermuda. This copycat version is pretty much right on the mark. Bright and delicious. Make one up soon and enjoy every healthy bite! Recently my husband and I went on a mini vacation to Bermuda. It’s the most beautiful island with wonderful people who are so friendly. We loved our hotel we stayed at which had a bunch of restaurants to chose from. One of the days we decided to do a “spa day” How wonderful! Totally relaxing with massages, tranquil swims and some pampering such as manicures and hair cuts. That brings me to the lunch they served during our few hours at the spa. We knew the menu was limited with healthy options. We both decided on the Strawberry Spa Salad. 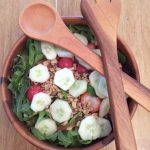 My recipe here is a copycat version and it’s pretty close to the one my husband and I enjoyed on our trip to Bermuda. Refreshing, light and delicious. That’s the best way to describe this salad. 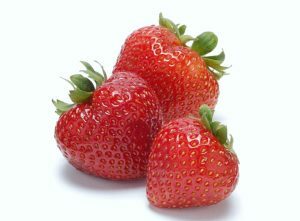 The strawberries were sweet and the lettuce was slightly bitter. A perfect combo. They dressed the salad very simply too. See and taste for yourself. 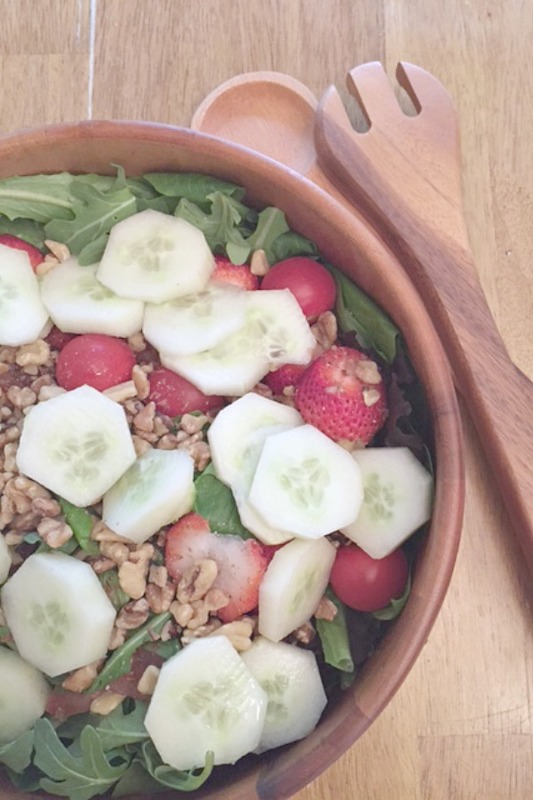 This is one salad I now make over and over again. You will too! 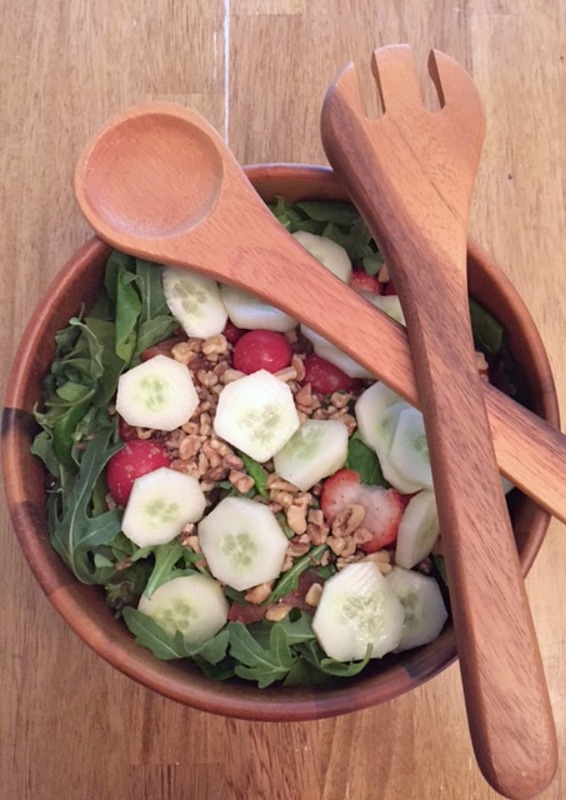 In a large serving bowl, Toss lettuces together. Layer all other ingredients. Drizzle over salad, toss gently and serve. 1.In a large serving bowl, Toss lettuces together. Layer all other ingredients. 3.Drizzle over salad and enjoy! Fresh and oh so delicious!